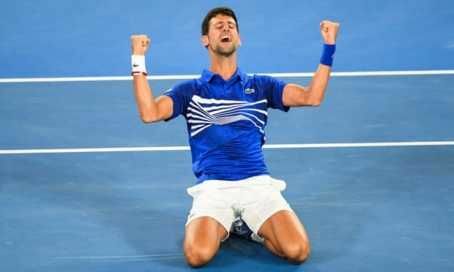 Novak Djokovic has won a record seventh Australian Open title and a third successive Grand Slam as he swept aside Rafael Nadal in Melbourne. Nadal, 32, looked rattled by the world number one's intensity and made 28 unforced errors. 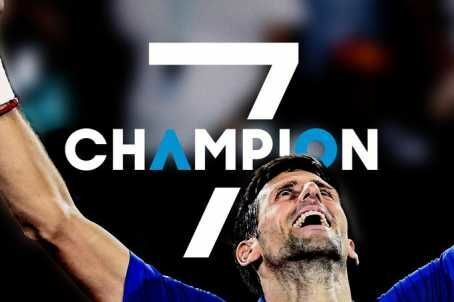 Djokovic, 31, won in two hours and four minutes to move clear of six-time men's winners Roy Emersonand Roger Federer. Djokovic: "I would like to return the favour and give compliments to Rafa's couple of weeks. “Tough match tonight but you came backfrom an injury that took you out of the Tour in September last year. “You're showing to me and to all your colleagues and young tennis players around the world what is the definition of resilience and fighting spirit." Djokovic steps forward and receives his winner's trophy. Nadal: “First thing I have to say is many congratulations to Novak and his team. It was an amazing level of tennis tonight and during the two weeks. Well done for everything. "I want to continue saying thank you verymuch to all the people who make possible the event. "I have to continue saying many thanks to all the people in Tennis Australia who make possible this amazing tournament. "There is no one tournament that is improving every single year like this one. The job you are doing is just fantastic. Thank you for making this tournament probably the best in the world. "It has been a very emotional two weeks,even if tonight wasn't my best night. It's been a very important two weeks. I have been going through tough moments in last two years - I had to retire in two events last year including here and that was painful. "Even if tonight was not my night, to me it's so important to be where I am today, coming back from injury."